ooc: for all the pics u can't see. right click, click properties and copy and paste the url on the browser bar. Golden fur with black spots and stripes. Personality: His loyalty goes beyond any other feeling he can ever have. Courage is his strongest personality, it chills his enemy to the bone. He will make a great warrior, and has the instinct of a natural leader. 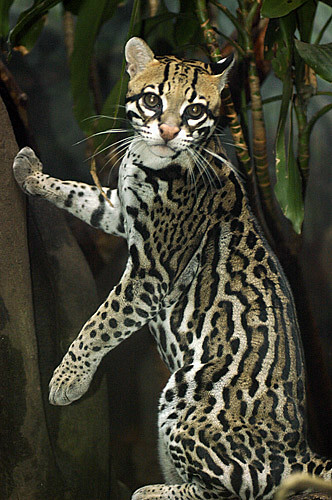 History: His mother, Heatherpelt, who was surprisingly a ocelot, a WindClan warrior fell in love with a kittypet named Chase. He was a tamed African Serval. Together they became loners in a barn twolegs abandoned. She had a kit with him, but she gave her only kit to WindClan so that he could have a better life then she had, and after he learned the warrior code he wished to live the life of a Clan-cat, although he couldn't live with his kin, Heatherpelt and Chase. I'm going to make some more bios for other clans tomorrow. And you dont need a RP sample for other cats/dogs than your first. RP samples are only needed for the first bio. Must be BoBcats to be in Mountain Clan. how come? I can't put a bobcat in ShadowClan? actually, I wanna change him a bit.